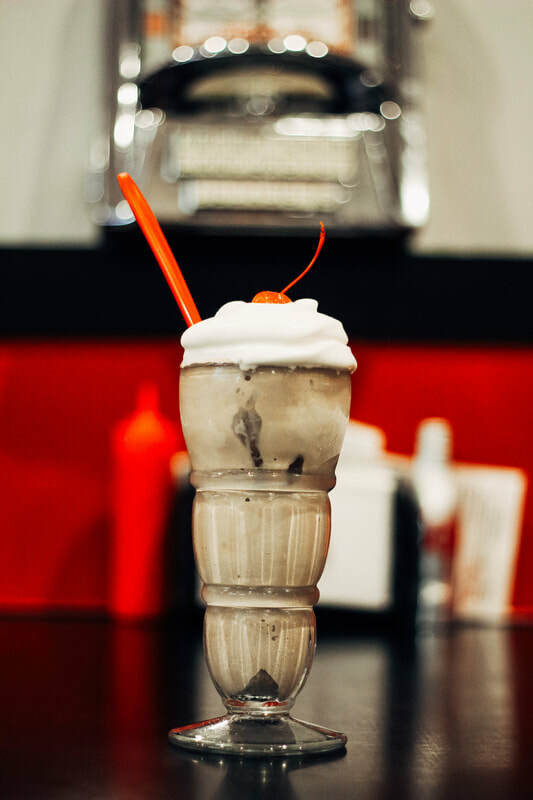 After collecting his dairy science degree from Utah State University, Bill Harris had a dream of owning an original malt shop and branding his family recipes. The search for the perfect location took him up and down the Wasatch Front until he came across Main Street, Brigham City. There were majestic mountains, tree lined streets, loyal citizens, a small town feel, and a major road to Idaho straight through town. It was meant to be for Bill to make his dream come true in Brigham City of a local hangout with a family atmosphere. By 1937, Bill had finalized the leasing of a small store front at 129 South Main, bought the equipment, and was ready to start off on his epic journey. In those early years, a banana split would set you back 20 cents, 12 cents for a soda, and 5 cents for a fresh limeade. During this time the going hourly wage was 15 cents. Those first five years, sales and reputation were just as Bill had hoped. Most of the business came from locals, but Peach City was making a name for itself within Utah and Idaho. In 1942, Peach City and and the town of Brigham City hit the jackpot when the government started building a 235-acre, 60 building hospital to treat soldiers wounded in World War II. This changed the atmosphere of Peach City to one of a military base with soldiers and hospital staff sitting around talking about their experience on the battlefield, sipping on a Coca-Cola or a big iron port and cherry. However, the war wasn't always good to Peach City. Harvey Morgan relayed a story to me, “During the war, Mr. Harris would get a ration of certain supplies (he thinks it was dairy products) and once he had sold out, he would close down Peach City until he received the next ration, sometimes up to a week." ​In 1947, the hospital closed down and the small town feel soon reappeared. With The Federal Interstate Highway Act of 1956 and with the announcement of Thiokol coming into the area, Bill Harris knew it was time to reinvent Peach City. In the Fall of 1957 and after twenty years at the same location, Peach City moved into its new home at 306 North Main. With the change of location, Peach City also transformed from an upscale malt shop into the newest movement of the time, the drive-in restaurant. Customers would drive in and order one of Peach City's famous 26-oz malts, all while seated in their cars. It was the hippest place in town. While Harvey worked his way up the ranks until he was a manager, Bonnie Baty was hired as a carhop at Peach City. They started dating almost immediately and after they completed high school, the two were married. Although they quit Peach City to attend Utah State University, their days working at the original Brigham City hangout were not over. Bill Harris eventually became ill. He asked Bonnie and Harvey if they could help manage Peach City while he recuperated. He never recovered from his illness and in 1971 the Morgans purchased the shop with a goal to hold true to the high standards set by the original founder. 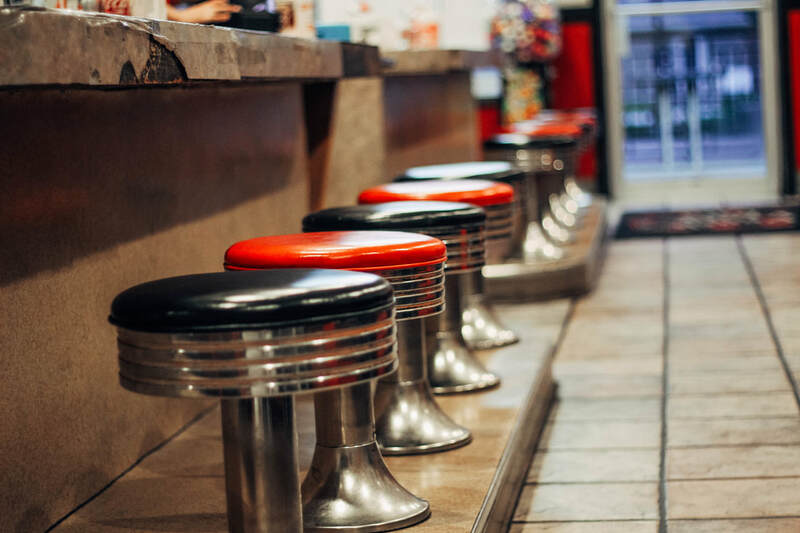 They still served rich handmade ice cream, a bigger-than-average milkshake, the ever popular Big Joe Bacon Cheeseburger, fresh lime rickeys, and cut-on-site real potato fries. Offering customers a bit of nostalgia with their menu has always completed the Peach City package. 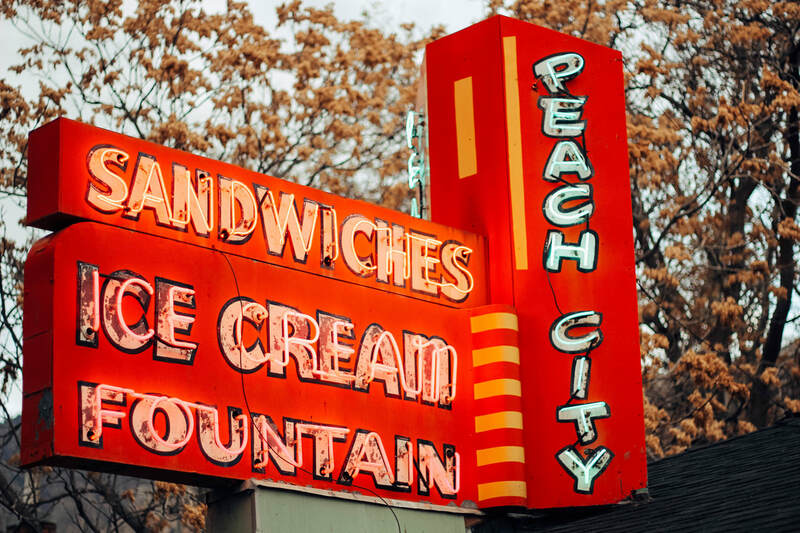 With the exception of new ice cream flavors, fish and chips, and some new music in the jukebox, Peach City had remained mostly the same as it was in September of 1957 when it first transformed into the drive-in. After fifty years of working Peach City, Harvey and Bonnie decided it was about time to hang up their aprons and retire. And that is where we come into this story. We had been looking for about five years to open a franchise of some kind and had been to Texas, California and Georgia looking into different restaurants that could be a good fit for Brigham City's culture. One day as we sat in Peach City, we started imagining cooks with the long white aprons and the white paper hats. We imagined waitresses dressed in blouses and poodle skirts with roller skates carrying a window tray skating out to your car, and Elvis Presley's “Don't Be Cruel,” playing on the 1956 Seeburg Jukebox. The simpler life is something we have always yearned for. As we were leaving, we noticed Harvey making ice cream the same way they did 70 years earlier. ​At that point, we knew this was the place. Get deals on food and be the smart one out of your friends. ​Follow us on social media and be sure to leave a review on Yelp! Copyright 2018 The Peach City. All Rights Reserved. Site designed with love by Ethymedia.